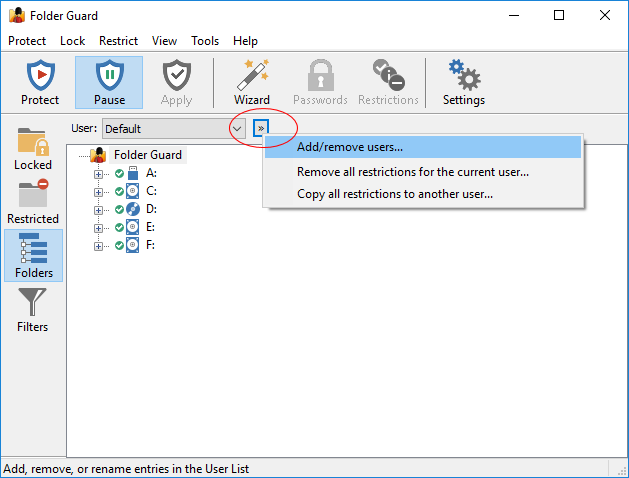 You can use this command to manage the User List of Folder Guard. If you have previously set up restrictions for the user currently selected in the User List, this command will remove all such restrictions. It does NOT remove restrictions for other users, and it does NOT remove any passwords from the password-protected folders. This command gives you a quick way to copy all restrictions from one user to another.